Stockton Arts Week: Brandon James LIVE! 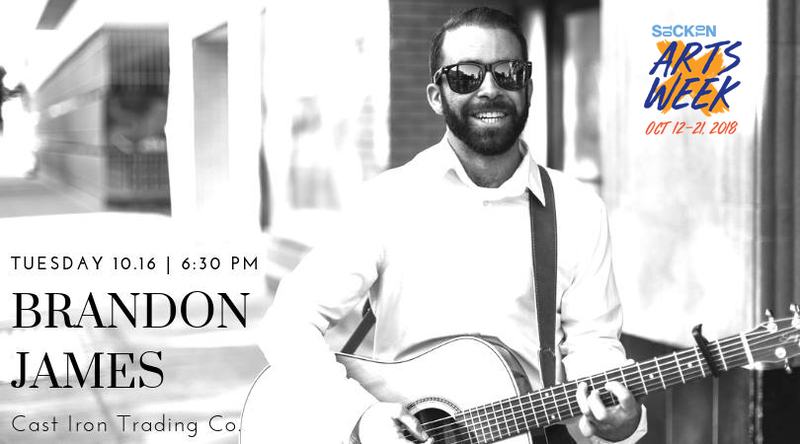 As part of Stockton Arts Week, come hear 2017’s Stockton Song Contest Grand Prize Winner, Brandon James, perform at Cast Iron Trading! It's Stockton Arts Week at Cast Iron Trading! Come on out to downtown Stockton for some live music from Brandon James. He will be playing some covers, some original music, and of course the song that won him GRAND PRIZE of the 2017 Stockton Song Contest! This event is free for all ages to enjoy!